STRANGERS in a strange place with strange people. That's what is the simplest description about this movie. This coming December 25, as one of the entry for the Metro Manila Film Festival this movie will bring strange feeling and more than a goosebumps. The story of The Strangers focuses mainly on a Family of Five that tries to put aside their differences on the eve of their kids 18th birthday. Fraternal twins Pat (Julia Montes) and Max (Enrique Gil) prepare to go on their annual out of town trip. Accompanied by their parents Roy and Evelyn (played by Johnny Revilla and Cherry Pie Picache, respectively) their grandfather Pete (Jaime Fabregas) and his temporary caretaker Paloma (Janice De Belen) as well as their newly hired driver Toning (Nico Antonio), they set for the far flung town of Murcia. During the press con, "Ako ang mgbibigay ng kapahamakan sa kanila" according to Nico Antonio, the driver. Whatever problems they had with each other fade away as they head for Murcia. But their happiness comes to a screeching halt when their van hits an old lady, presumably killing her. Shaken, they get out of the van to see if they can help her-and find that her body has vanished into thin air When night sets in, Toning is attached by a mysterious creature, Roy and Lolo Pete go missing and Evelyn, Pat , Max and Paloma are left stranded in the middle of nowhere. They eventually find their way to a village, where they are besieged by a series of aswang attacks. Pat finds an ally in one of the villagers, a young man named Dolfo (Enchong Dee). THey realize the only way to survive is to band together against the aswang terrorizing the village. Whether or not they will survive is something moviegoers will find out when The Strangers hits theaters as part of the Metro Manila Film Festival on December 25. The movie is very challenging to all the cast, as well as the directors. Enchong needs to immerse himself as a dirty man, in order to him to portray it properly. "Masaya and Tiring ang paggawa ng movie na'to", according to Enchong. 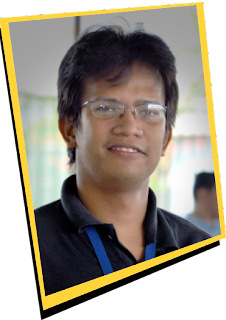 The Strangers is directed by Lawrence Anthony Fajardo, whose recent work as a director includes Posas - which won Best Film in the Director's Showcase division of this year's Cinemalaya. and again at the Hanoi Film Festival in Vietnam - and Amok, which bagged a whopping 11 nominations for this year's Gawad Urian, as well as the top prize at the Detective Fest in Moscow last April. 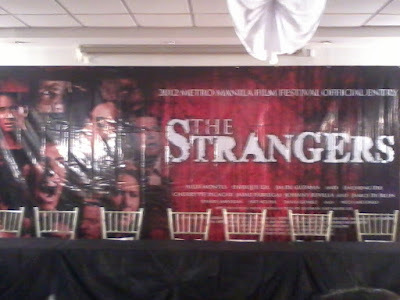 The Strangers is produce by Quantum and MJM Productions that will give movie enthusiasts a different horror experience by taking into a world where nothing is ever what it seems: the world of The Strangers. Movie fanatics and horror enthusiasts people, this is for you. If you want to have a thrilling Christmas watch this movie. A horror movie that will tackles family in different scenario, that will trigger the family that they need to be bonded in times of problem. Head on to cinemas this coming December 25 for "The Strangers".